We are professional outsourcing service providers, committed to aid businesses to succeed!! Delhi Consultancy Services can help you define and refine your HRM processes, recruitment funnel, delivery models, manpower and automation strategy keeping in mind your business area and the upcoming trends and processes which may disrupt it. Through our comprehensive experience of outsourcing HR, we are able to offer optimized processes based on best practices, greatly reducing transaction times and increasing the speed and the ability to provide a service. Dealing with routine administrative tasks, our services allow the team of human resources to focus on identifying and providing strategic solutions needed to respond to business needs in constant evolution. We work alongside our customers to ensure they have the right people in the right roles, to achieve maximum results in the current personnel management, in preparation for future growth or in the analysis of the efficiency of employees. 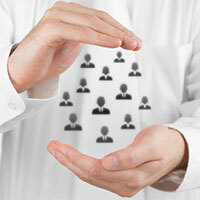 Many companies have fragmented solutions for the management of Human Resources. Our experience, our knowledge of processes and global infrastructure will help customers simplify and consolidate HR offering a comprehensive integrated solution.